From the wooded highlands overlooking Black Lake, the Bluffs on Black Lake restaurant and campground invite locals and visitors to enjoy the food, view and beautiful outdoor setting at this historic location. Come relax in our log cabin atmosphere, and enjoy a restaurant that provides fast, friendly service. It’s a great break from the ride or the perfect lunch stop when fishing on Black Lake. 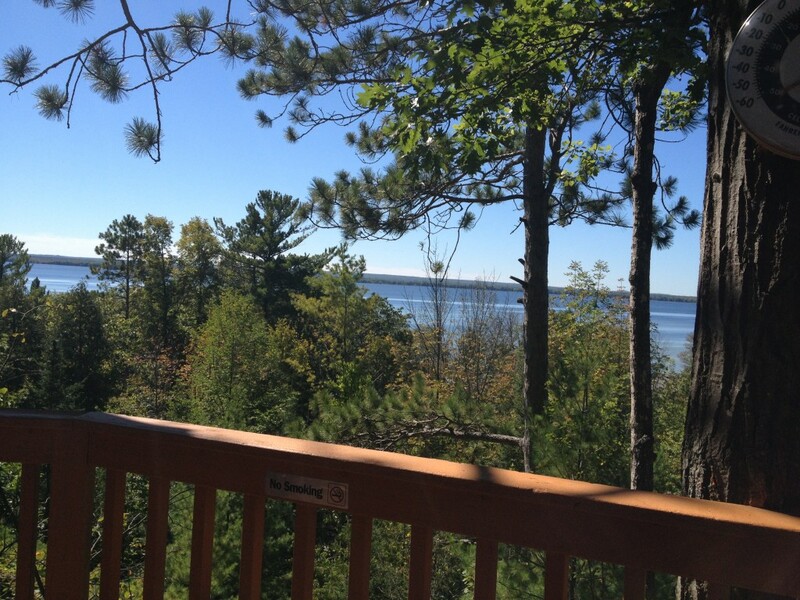 The Bluffs at Black Lake is at the trailhead for all Northeast Michigan trails. We welcome visitors all year-round, including mountain bikers, hikers, and motorcyclists in the warmer weather, and snowmobilers and cross-country skiers when it turns cold. In fact, the cross country ski trail groomer comes directly to the front door of our restaurant. Boaters can dock on our northeast shore, and we’ll be glad to pick you up in our golf cart and bring you directly to the restaurant. With 38 campsites, we offer a complete camping experience. Half of our sites feature electricity, while the other half are for campers who prefer a more rustic camping experience. In addition, we recently installed new showers and bathrooms for our campers.